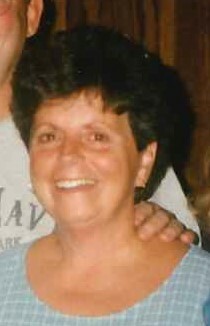 Betty Ann Crosby, 76, of Payne, Ohio passed away Wednesday, January 23, 2019 at Parkview Hospital in Fort Wayne, Indiana. She was born August 17, 1942 in Van Wert, Ohio to the late Harry Sr. and Betty Alice (Willit) McKeddie. Betty was a spirited child who loved to drive go-karts and was voted ‘best athlete’ in high school. Betty graduated from Van Wert High School in 1960. She went on to attend Warner Beauty College in Fort Wayne, Indiana. She was a life-long member of the First Presbyterian Church in Van Wert, Ohio. Betty met her true love, George Thomas Crosby, working as a lifeguard at the Van Wert County pool. Betty married Tom December 29, 1962. From that day on, they never left each other’s side. She is survived by her husband, Tom Crosby of Payne, Ohio; her sons, Chris (Kristina) Crosby of Fort Wayne, Indiana, Chad (Angela) Crosby and Craig (Stacey) Crosby, both of Payne, Ohio; grandchildren, Meg, Ethan, Nate, Emma, Evan and Ella; step-grandchildren, Alexandra, Gracelyn, Anna and Madison. She is also survived by her siblings, Sandra (Ed) Agler of St. Mary’s, Ohio and Harry Jr. (Teresa) McKeddie of Van Wert, Ohio, along with many beloved nieces and nephews. Betty was a hair stylist nearly 40 years. Many of those spent operating Betty’s Beauty Shop out of her Van Wert home, where she made life-long friends. Tom and Betty moved to Payne, Ohio in 1988. There, she spent her summers giving swimming lessons and tending to her flower beds. Betty was a devoted wife, mother, grandmother and sister. A private service will take place at a later date. Memorials may be made to Community Health Professionals, 250 Dooley Drive, Paulding, Ohio 45879.